Anyways, I think this recipe for Zucchini Crust Pizza came up on my Instagram or Facebook and credit goes to Taste of Home (http://www.tasteofhome.com/recipes/zucchini-crust-pizza). I added some garlic and used GF flour but the result was great! It’s certainly not a pick it up with your hands pizza (at least mine wasn’t!) 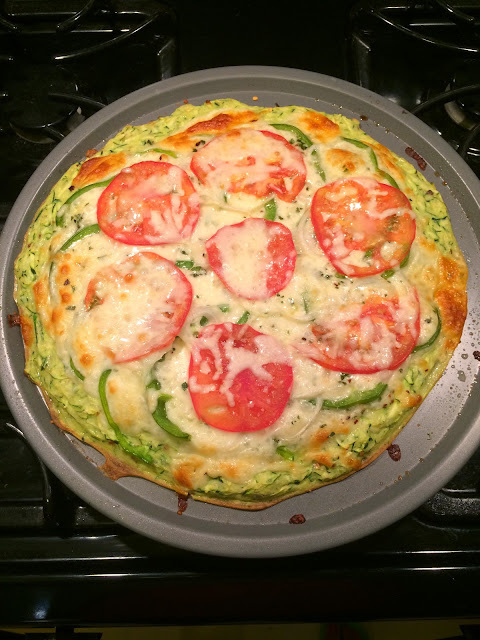 but if you like zucchini, quiche (a little bit like that consistency) and feel like a healthier alternative to traditional pizza, this is the recipe for you! Also super easy to make. Seriously. The cheese and tomatoes helped me curb a pizza craving of late. I also like the high veggie consistency to this meal, for sure. 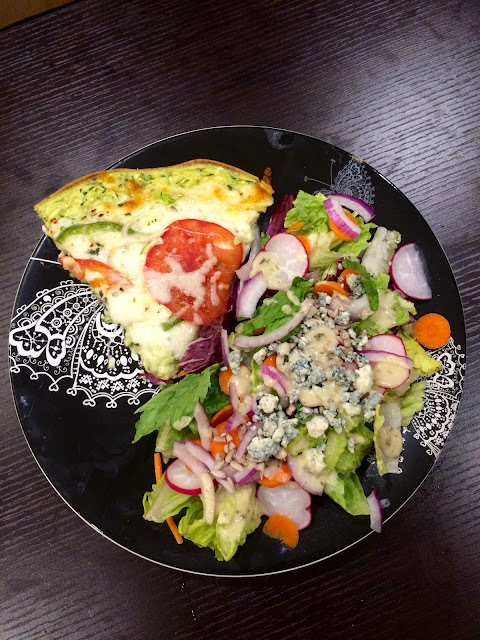 And for anyone that cares, I pair almost every meal at home with a side salad. On that I have a few sunflower seeds, a little bit of blue cheese, radish, red onion, carrots, and Annie’s Cow girl ranch dressing (a half serving since the bit of blue cheese adds the stronger taste I love!) I also always keep freeze dried herbs in my fridge and chives and dill are my go-to’s for almost every salad I make. I would love to know if you try this recipe out and what you think! Until next time, happy running (and eating)! !